I wanted to take this opportunity, on behalf of my parents and myself, to drop you a note to thank you for all your help in our search for the perfect home. It wasn’t easy finding what we were looking for but you helped us make it happen. Thank you for your patience, care, and dedication to do a great job. You are, without a doubt, an excellent example of a professional in your field. Thanks again for everything. My Wife and I are grateful for your kind assistance. We could not have asked for more. You were pleasing to deal with. We knew even from the start that we were in good hands! Thank you for your assistance, your market knowledge and quick response to our concerns. In a very difficult market,Graham managed to bring many perspective buyers through our home, providing timely feedback after each showing. Graham was always professional, courteous and pleasant to deal with. You made the entire process very clear, easy and much lower stress than I expected. I really appreciated the low-pressure and honest opinions of each house we looked at. I didn't think finding the perfect home would be that easy! Graham came recommended from a coworker of mine, and I'm glad I went with him. Friendly, knows what he's doing, and always got back to me quickly whenever I needed any help with anything. Clear, concise, and professional. Graham had 3 offers for us the first day our house was listed, with two of the offers being over list. We are pleased with how he handled our sale and will not hesitate to refer him to others. This being the first time I've bought my own place, I didn't know the ins' and outs of buying a place. Graham was very big help in getting me thru the process of buying a place. He was very informative and quick to reply. Full of imformation and I felt very comfortable working with him. He treated me like a friend and not a client. He was very quick on all paper work. Even sat thru the home inspection with me just to make sure everything went well. I was very pleased with him and have already recommended him to friends and family. I will definitely be using him again if I ever go to buy/sell a house. Graham worked with me on trying to find a house for over a year. He was incredibly patient and helpful with my ever changing life situations. I found him to be very knowledgeable and he answered all my questions.I found house shopping could become frustrating but Graham still managed to make it a good experience and we finally found my first home. I would recommend Graham to my family and friends. We had a truly excellent experience using Graham as our realtor. My partner and I are both first-time home buyers and Graham went out of his way to make sure we felt comfortable asking any questions or raising any concerns. He made a daunting process seem accessible and with his guidance and know-how we were able to purchase a home that was everything we wanted and more, all for a great price! We would highly recommend Graham to anyone looking to buy or sell a home, especially folks who are new to the process. We had an awesome experience using Graham as our realtor. We used him to both buy our home, and then sell it a few years later. Every time we had a question, he answered it immediately, and every single transaction between us and him went seamlessly and effortlessly. He was very informative about the housing market, and his experienced eye for detail was definitely an asset in preparing our home for sale. We highly recommend Graham as your realtor! Graham was an excellent agent and very helpful for a first time buyer. He was helpful in explaining the process and what I would need to do as well as maintained very good contact through out the whole process. He was knowledgeable and helped to guide the process without any pressure. Overall I would rate Graham as excellent and would not hesitate to approach him again in the future if I need a realtor, or to recommend him to friends. Upon recommendation, we used Graham as our realtor for the recent sale of our home. We had a fair amount of time to plan the sale. Graham worked with us during the whole process ensuring that we were informed and understood the whole process. He is knowledgeable and has an excellent talent to convey the important issues and facts related to planning for the sale. As well, he took great care to understand our needs and wants and used these as part of the overall plan. Once the time came to list the property Graham was in constant touch ensuring again that we were comfortable with the process. The property sold in two days at our asking price; unbelievable! Graham helped us through the complex process of deposits, house inspections, repairs and finalization of the sale. He is an outstanding realtor and we would recommend him to anyone who needs expert advice in a caring and understanding manner. I would have to say that I appreciated the way you didn't pressure me to buy any particular house, nor buy at a particular time. You encouraged me to find that perfect home that is just right for me. I nearly settled for second best and now that I'm in a home I love I'm glad you had the patience to let me find that. I also appreciate the way you allowed me to go through my own process of picking out a home rather than heavily direct the process. We would recommend Graham to anyone buying or selling a house without hesitation Graham has exceeded all of our expectations as a realtor. Graham was very patient and understanding of our wants and needs in buying a home. He provided excellent insights and advice throughout the whole process. Graham is both very personable and professional, and always accessible with any needs or questions. We will definetely be contacting Graham if we are ever in need of a realtor in the future. Thank you very much again for all your help and hard work! We recently decided to sell our old home and buy a new one. The decision on which realtor to use was an easy one, Graham Ogden. Graham helped us purchase our first home, and we were more than happy to work with him again. When selecting a house to purchase Graham worked hard to find us something that suited our tastes, and our budget. He even provided some feedback to help shape our idea of a dream home. Making an offer was easy, and Graham got us a great deal on our new home. When selling, Graham worked tirelessly to help us ready our old home, and communicate/negotiate with prospective buyers and their realtors. In the end, Graham offered honest feedback, and we ended up with more than we had hoped for when finally selling. Graham is honest, committed, flexible, and easy to work with. He has your best interests in mind both when selling, and buying. I would gladly recommend him as a realtor to anyone. My husband and I wanted a new home, in a specific area. Graham was an excellent listener, of our needs, and very quickly provided us with many options in our price range. With detailed on-line listings, we were able to make a decision for actual viewings. Graham was efficient and helpful, at every step, and made our home buying a hassle-free process. For First Time Home Buyers, we found Graham to be very patient (at least 2 years waiting for us to prepare to buy a home ) and knowledgeable and to the point in his search on finding us our first home. You always hear that there are a lot of things you don’t know when buying a house, Graham was very forth coming of what we needed to expect and know about buying a home. Working with Graham was a very positive and enjoyable experience. We would highly recommend Graham as a professional realtor. He was informative , respectful and most importantly valued our opinions in the decision making process. Our home sold quickly, and painlessly. Graham definitely made the entire process stress free! We we would be happy to refer Graham to family and friends. It is my pleasure to recommend Mr. Graham Ogden as a top real estate agent who helped us purchase our first home. Graham went above and beyond in searching for our home. Even though we had a lengthly list of what we wanted, his patience and determination led us to the perfect one. We recommend Graham for his expertise, experience and integrity. My wife and I wanted to express our appreciation of your efforts in helping us to purchase a house. We have both owned properties previously and had a pretty solid idea of what we were looking for. We both liked the fact that you listened to what we had to say, learned from our likes and dislikes as we viewed properties, and pointed out important factors that may or may not have been in our sights. You made our search painless and fun. We would happily recommend you to our friends and family. Our experience with Graham was amazing! He took all of our little wants and needs and was extremely patient with us in finding the right home for our growing family. We are now happy first time home owners to what could very well be the only home we ever have to purchase! We will be telling anyone we know looking to find their perfect home to call Graham!! It was our pleasure working with Graham Ogden of Re/Max and we would certainly recommend that you consider him for your real estate needs. We found Graham to be very knowledgeable and capable. We appreciated that he was easily accessible and kept us well informed all along the process of selling our property. We will be in contact with Graham when we next require the services of a realtor. Graham is committed to finding his client the correct home for their needs. He is professional and thorough in his searches, answering my questions and addressing concerns. I highly recommend using Graham, and will continue to use him in future. This is the second property Graham has sold for us. He also helped us to find our dream home. In both cases, Graham was extremely professional, highly organized and on top of everything. We have been searching casually for a long time (many years) for just the right property and Graham has been beside us the whole way. Graham's calm nature during the stress of buying and selling a home, responsiveness, understanding of the marketplace and commitment to his client's needs are just some of the many reasons we have had two very successful experiences. We wouldn't hesitate to recommend Graham to anyone looking for a realtor who truly cares and is willing to put in the work to help you find success. Graham helped us find and buy a condo in south Edmonton. He initially provided us with a good selection of possible units, then worked with us in a timely manner to finalize the purchase. He is thorough, quick to get back to us, and forthcoming in dealing with our questions and comments. Graham's approach was meticulous and detail oriented. Everything was planned out with precision and all bench marks were met on time. He was in constant communication with me so I always knew what was happening. The end result for me was that my house sold promptly with absolutely no hitches or unwelcome surprises. I would highly recommend Graham Ogden to anyone needing a realtor. I'm 2 months settled into my new home now and loving it!! It certainly would not have happened without your help. Your honest & caring approach assured me you were listening and looking out for my interests. Again a heartfelt thank you! Dear Graham. Thank you for making my first home buying experience painless. There was so many things to organize and figure out and you made the home buying process seamless. Thank you for the attention to detail you gave to qualities I was looking for in my new home. I love it. Thanks again, Clarke. Graham provided us with professional and timely service when we needed it most. His attention to detail made the selling experience much less stressful. I would recommend Graham to anyone buying or selling property. My Mom generously wanted to purchase a condo for me, her adult daughter, as I have been unable to work due to disability. Graham Ogden was a superb real estate agent in honouring both of our needs and wants. He guided us through the examination of the condo papers, so we both felt very confident that the building we bought into had a strong Board, great Management and most importantly a strong financial future. Graham was always available to answer questions and I would not hesitate in highly recommending him to home buyers and sellers alike. 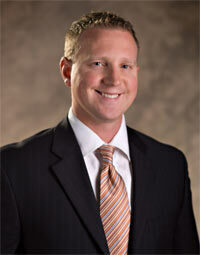 His strong knowledge of the real estate market and excellent communication skills make him a top notch agent. 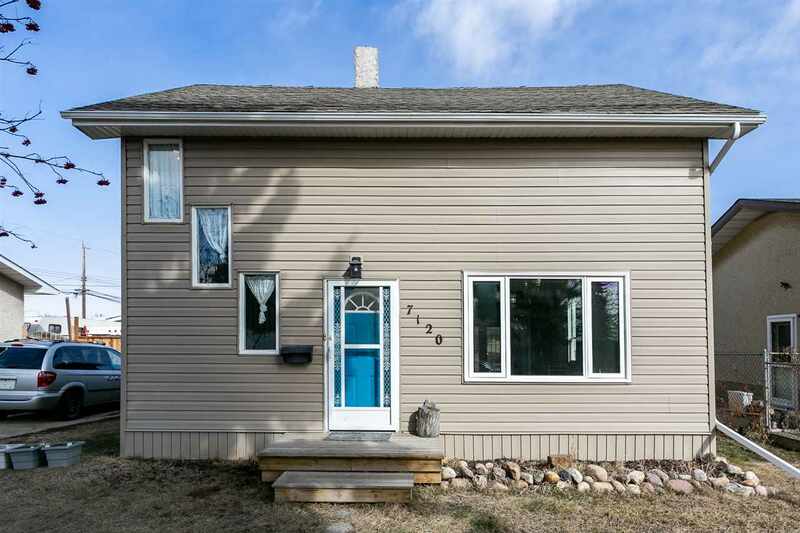 I had sold my house in Barrhead, Ab and needed to buy elsewhere. Graham Ogden was highly recommended as an approachable and conscientious Realtor by a couple of happy past clients of his. I found Graham to be very accommodating in showing me what was on the market, explaining the pros and cons which did lead me to purchasing a condo through him. I appreciated his friendliness, sincerity and helpfulness, all done in a very kindly manner. Thank you Graham! You definitely couldn't ask for a better Realtor to help you find the perfect home. Someone who has all the patience in the whole world and will give it his all to find you whatever it is that you are looking for. He has very flexible hours, my boyfriend and I could only look at houses anywhere from 630-8 just because his job but Graham never once turned us away. He has a great personality and never pushes to sell a house he leaves it up to the buyers to make the first move. I have already recommended him to other people and I will us him again to sell my house or buy another one. Can't thank you enough for handling the sale of Mom's condo. As usual you made it easy and stress free for us. We really appreciate how quickly you had it online and how fast it sold! Will definitely be calling you again for our next sale. Thanks Graham! Having you as our realtor was a real pleasure, you tailor made the search for property according to our needs and specifications, and although we were a bit pedantic at times you took it in your stride and at no time tried to pressurize us into a sale. The people whom you deal with and refer were also very professional making the acquisition of the property very smooth. To me the cherry on the top was even though I had considered accepting a proposed sales price you still took it upon yourself to go back to the seller and renegotiate an even better deal. Once again thank you for your efforts and I certainly will recommend you to my friends and associates. I am very happy with the home I eventually purchased with Graham Ogden’s help. It is the first property I have purchased and I had a lot to learn, both in terms of what I was looking for and things I needed to consider when purchasing a place. This was a big decision for me and Graham was very patient and generous. He shared his knowledge and time with me. He showed me many properties and gave me his honest view of each property, based on what I had said was important to me. His direction helped keep me on track and become clearer on what I was wanting and what was affordable for me as well. I am grateful for Graham’s commitment to knowing we would find the place that was right for me, because we did. He was very supportive of me throughout a process that had many stops and starts. He accommodated my needs and was there when most realtors would have given up on me. I appreciate his help very much and would recommend him to anyone. We’ve known Graham for a couple years now, back when we started looking at houses in 2011. You see, we’ve always been a bit chaotic and all over the place when it came to deciding what we wanted and I imagine for Graham it was like herding cats! But he kept us on track, listened to what we wanted in a home, never once pressuring us to buy and always offered helpful and honest insight. Buying a home can be a stressful and daunting, but he was with us every step of the way! Graham’s got a great personality and in his presence we always felt at ease with the process. We’ve dealt with many realtors over the years and not a single one even comes close to the genuine nature he possess and awesome home-buying experience he provides. We’re happy to say that finally found the perfect home. Without any doubt we would 100% recommend Graham’s services to anyone who is considering buying a home. Graham has proven to be an informed, reliable and strategic real estate agent since we selected him through an interview process while relocating to Edmonton. Graham understood both our requirements and needs and helped us locate and purchase our spectacular home in the Edmonton river valley. It seemed natural when selling my mother’s home on her behalf, that we contact Graham. Graham again proved through an interview process to be clearly ahead of the competition. Following Graham’s advice and guidance, we were able to secure a solid offer leaving my mother with no sellers stress or financial concerns. From start to finish Graham has been exceptional and we would not hesitate to recommend his professional top notch services. Take good care, should we need a real estate agent, or are asked for a recommendation, your name will be first on the list. And there will be no need for interviewing! Thank you so much for the very professional way in which treated and helped us find and purchase our new home. You listened and read us well in using the criteria we gave you in finding what met our needs and budget. You were prompt, courteous, patient, resourceful and never made us feel pressured. Your care and thoughtfulness were expressed throughout the transaction by follow-up phone calls to answer questions or offer advice. A welcoming gift on the day of our arrival was so appreciated. We knew we had chosen the right realtor and would recommend you to others. Thank you, Graham, we trusted you completely. As first time home buyers we had a lot of questions. Graham took the time to sit down with us to go through everything and was always patient and thorough with us. Graham was quick to respond to correspondences and was very flexible with his schedule to accommodate looking at homes. It was a pleasure working with Graham, and we would recommend him to our friends and family for their future purchases. I was looking 4 my first home I didn't know what I wanted and was really scared of all the hidden costs. Graham was very professional; he took me too many homes and encouraged me to figure out what I wanted. Graham patiently walked me through the steps and paperwork... By the way, he doesn't like spiders! I was referred to Graham by a friend who strongly recommended his service after a condo purchase in 2007. At my first conversation with Graham I knew I had a realtor who knew his product and how to ask the right questions to find the "RIGHT" place for my wife and I. Location, type of place, age, local facilities, transportation routes, taxes, and green space - he covered all avenues in both a courteous and speed fashion. Graham was very willing to adjust his schedule to fit our needs, and was very upbeat when showing various properties to us. When the time came to make an offer and eventual acceptance on the property we DID purchase Graham was very quick and alert to all paperwork and legal requirements - and it made the entire purchase process significantly easier and stress free. We love the new place and the new life style the new place gives us. Both my wife and I are thankful for the efforts Graham went through to find the "RIGHT" place for us. Should we decide to upgrade or move in the future we would have no hesitation in calling Graham to facilitate our needs again. Our experience working with Graham was excellent. As first time buyers we didn't know what to expect, and having a knowledgeable realtor like Graham was essential. He took the time to understand our needs, explain the process, and provide very sound advice along the way. We are incredibly happy with our new home and have recommended Graham to all of those we know who are buying or selling properties. Graham was more than helpful especially being a new homeowner it was a lot to take in. However it was reassuring with Graham being there helping every step of the way! He truly understood me in what I was looking for in a home and made that come true by helping me find our new house in such short notice! Thank you graham for a great experience and would definitely recommend you as a realtor for any future purchase/sale! We chose Graham because we knew we could depend on him!! He is very easy to deal with and attentive to every detail. Thanks a million Graham!! In late 2012 we applied for our first mortgage and to our delight we were approved! We then faced the task of finding our home and needed some professional assistance. Our mortgage broker recommended Graham Ogden to help us on our first time home purchase. From the first time we spoke with Graham we realized we were in great hands and this experience would be memorable. We looked and many houses and within 2 months we had found and purchased a home that fit our needs. If you are looking for an agent who listens to what you want and is committed to making this process smooth then we suggest Graham Ogden. Thanks Graham for all your help and we will tell everyone we know selling or buying a house to call you! Chris M. & Trish M.
I'm really not a real-estate kinda person. I’m that girl that wants to do everything myself, perhaps lack of trust motivates this or personal gratification. I met Graham Ogden because there was a house I wanted to call home and he had the listing. Graham immediately made me feel comfortable, he is professional and personable. I never felt any pressure or stress. I would defiantly use Graham again. Hopefully not to soon lol. All the best to you and your family Graham, you've got what it takes. It was truly a pleasure working with Graham in our search for a home. Our transition from another city to our new home went seamlessly with Graham as our guide. Graham's honesty, knowledge, and professionalism were second to none. Our dealings with him felt more like friendship then business. Without a doubt we would recommend Graham to anyone looking for professional assistance in there search for a new home. He will certainly take care of you because he definitely cares about your well being. Graham was referred to me by my mortgage specialist. I'm glad I trusted my instincts and called him, since I found my perfect condo on the first viewing we went to and received personalized, professional service from the initial contact to the transfer of keys. As first time home buyers, Graham made purchasing a home simple! We found our new home the same day he took us out to show us what was on the market. He really listened to what we were looking for and got us exactly what we needed. He is dedicated in ensuring his clients are happy and we highly recommend him! We were first-time home buyers in Canada; barely knew anything about the process and Graham was there to guide us all the way even on issues like establishing connection for utilities. He made sure things were moving forward as they should and he's very quick to respond to our concerns even when he was out of town. He was also very objective in showing us the features of the homes we visited. And need we say that we closed the purchase contract just 3 hours after we started the offer to buy? We found our home in just about 7 hours from our first meeting! Being first time sellers we really didn't know what to expect but would like to thank you for all your advice, patience and honesty throughout this whole process. We relied on your judgement and you came through for us with our house selling in a matter of days. Have already recommended you to friends and relatives. Again, thanks Graham! I was referred to Graham and I must say he truly delivered. His knowledge, his contacts, and his service provided me with every comfort and confidence that the sale of our condominium would go smoothly, which it did. The condo sold in 8 days. Graham is a true professional who provides exceptional service. It was a pleasure to work with Graham on the purchase of our new home. We weren't exactly sure what we were looking for; Graham was able to offer some guidance and insight which helped us make the right decision. We liked his timely and professional manner yet friendly and open disposition. We would certainly work with him again! My wife and I recently relocated from Ontario and I employed Graham to find us a home. Graham understood our needs and was able to help us find the home we were looking for. We now feel "at home" in our new province...thank you Graham! We had a fantastic home buying/selling experience. Everything happened for us very quickly and we were required to sell in short time frame. With Graham's advertisements we had an offer on our house within a couple days that was very close to our asking price. The whole process was very easy with Graham keeping us updated at every point and explaining processes we didn't understand. Even after possession Graham continued to help us make sure our new home was everything we expected. Graham made a very stressful time much easier and more enjoyable allowing us to focus on everything else. He went above and beyond what we expected of a Realtor. Our experience with Graham as been exceptional from start to finish. He's experienced, professional and reliable. He has always taken the time to address our concerns (day or night) and quick to return our calls. We feel his knowledge and advise has helped us tremendously, especially when it came down to closing the deal. We'll definitely go back to him the next time we're in the market. Graham's help was excellent! He had a very good knowledge of the city, the residential areas, and what to look for in a house. As a first time home buyer, I was in need of help in what to look for, etc, and Graham was able to exceed any expectations. Graham could gain my trust through simply being honest. Anyone who is looking for a realtor they can trust, this is the guy! We moved from Yellowknife, NT and randomly chose Graham from a home he had advertised. He met us to view it and was awesome to deal with ... professional, knowledgeable and very sincere. He worked with us for a few months and always got back to us promptly with information and was available when we needed to reach him. He is genuine and was more than our realtor, he also became a friend. We will most definitely refer others to him and will call him again with any future business. Graham Ogden was excellent at providing sound advice and clearly illuminating the unbiased facts while allowing me to make my own decisions. His attention to detail was appreciated at all stages but especially after the deal had been culminated. Thanks Graham! We were very impressed with the service we received from Graham and our search to buy our house. We had a very tight timeline and Graham always promptly replied to our queries. He was very professional every step of the way. We thank you for all of your help and expertise Graham! Buying a house can be a long and arduous process, but Graham made it seem like a walk on the beach, going above and beyond expectations. He is extremely knowledgeable about not only the process of purchasing property, but has a firm grasp of what the houses and communities are like. He is tireless in his efforts to search for exactly what you want, while also being patient if your perfect house doesn't come up right away. Buying a house with Graham was easy and painless; I will most certainly be recommending him to me family and friends. Thank you for your services Graham. Being a First Time home buyer, I didn't Know what to expect. When I started looking it, I quickly realized that there is a lot of information to go through. Graham helped a lot by going through the process and the homes with a pressure free attitude that left me feeling confident I made the right Decision! Thanks for your help in selling our home so quickly. You were very knowledgeable regarding market conditions and price and are extremely professional. Should we or our families ever need a realtor again I will definitely pass your name along. Thanks again. Graham made this huge step in our life very easy and was exceptionally patient in explaining how everything within the home buying process worked. He presented us with many options and helped guide us in choosing the best option for our needs. We had a short time frame for obtaining a new home and Graham was very accommodating to our schedule and always willing meet at anytime. Graham is an amazing real estate agent. He doesn't pressure you into doing anything (like some others). He always makes sure you're comfortable. Also, he is completely up front with everything. He is everything a real estate agent should be and everything a real estate agent wants to be. Finding a good realtor is difficult -- finding a great one almost impossible! We were fortunate in finding a great one! 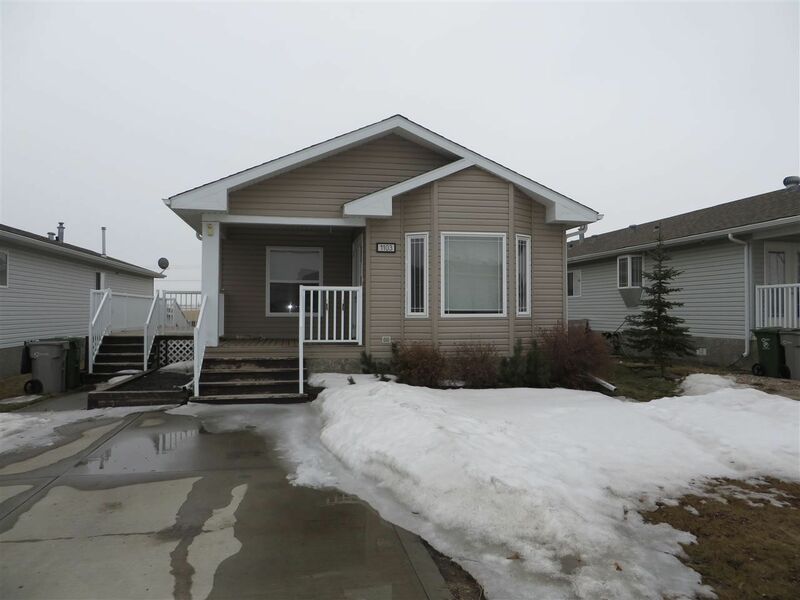 We started working on-line with Graham Ogden while we were still living overseas; he sent us all the existing and new MLS listings for the area we were looking in; which provided us with a comprehensive and informative assessment of the Edmonton real estate market. Graham worked diligently to find exactly what we were looking for; little did he know then; how difficult and picky we could be. Graham has a great sense of humor, a great deal of patience and is a true professional. Within 9 days of after arriving in Edmonton, Graham found us exactly what we were looking for. Behind the scenes, we know Graham was working 24/7, not only to meet our needs and also doing the same for all his other clients to the find the exact property each of us was looking for. From the client side he made you feel as though you were his only priority" we never felt rushed or pushed, he was always there to answer any questions we had, he turned what can often become for buyers a frustrating real estate nightmare of finding a home" into a very pleasant experience. If you are planning on looking for a new home, contact Graham, you won't find anyone else who will do more for you in meeting your real estate needs. Graham, thank you for your efforts, your support and for something I thought I would never say about a real estate agent - thank you for your honesty. Very contented new home owners. I had the pleasure of working with Graham twice, once in purchasing my condo in 2006 and once in selling it in 2008. In both cases, I have been extremely impressed by his knowledge of the market, professionalism, attitude and the level of service I received. I was especially pleased that Graham listened to the reasons I had to sell my property, explained the situation of the housing market to me completely and honestly, and suggested a value which would get me my desired result in the time frame I had in mind. After that, he worked very hard to advertise my property to the target buyers, gave me feedback on every single showing of the property, provided encouragement and adjustments to the conditions as necessary in order to get me the best possible result. Due to his efforts, I managed to sell my property with satisfactory results and within the time frame I had in mind. I am very happy with his service and have no reservation recommending him to my friends. Graham is an excellent Realtor that places the customer's (buyer(s) or seller(s)) needs first. He provides outstanding information about the market and aids his customers to make the correct choices at the correct time. Graham is passionate about his work and above all he puts no pressure on the buyer to complete the sale. I would strongly recommend Graham for your real estate needs and I am definitely looking forward to working with him again. I've worked with Graham twice over the past 2 years finding his professionalism and integrity unmatched, you definitely want a guy like this representing you! I look forward to using Graham's services again. It was a pleasure to work with Graham! Coming from Lethbridge I could only meet on certain days which never seemed to be a problem with him. Graham always made time for my wife and I, as well as following through with each of our requests. Our experience with Graham has been nothing but positive. From our first contact with him to the completion of both the sale of our old home and the purchase of our new home, Graham handled himself with a great deal of professionalism and dedication. Throughout the course of this journey Graham was aware of exactly when to give advice, and when to leave us to make the decisions we had to make. We had lived in the same house for 18 years and the decision to move was a bit emotional, and Graham was there to guide us through all that had to be accomplished. He was very patient with our questions, and was available to us exactly when we required. It was a pleasure to work with him, and we both feel that we have a realtor that we can trust and rely on in the future, if the need arises. Thank you Graham! When I first contacted Graham it was around 8:00 pm on a Tuesday night. He was very excited to help me find my dream condo and actually told me he had the perfect suite available for me to look at. After sending me a few links to other condos, Graham took me for a walk through of the perfect" condo. He was right. The condo was everything that I was looking for and more in a first home purchase. We placed an offer that night which was a Thursday and by the following Monday we had confirmation of the sale. He was able to put me in touch with a fantastic mortgage broker who made the financial side of things as simple as possible. Graham was very attentive to all of my needs as well as very reassuring as this was the first major home investment I have made. Even after I had moved into my new home, Graham made some follow up calls to make sure that I was 100% satisfied with everything. I have recommended Graham's services to a few friends who are in the market to buy their first home and I would definitely use Graham's services in the future for any home purchases I make. We were more than happy to deal with Graham during the sale of our home. Graham thoroughly explained every step of the sale and always showed professionalism and inspired trust. Graham's understanding of our needs were equally matched by his knowledge of the real estate market. We are thankful for the dedication he shows to his clients. Graham is not only very knowledgeable, but unlike others we found him trustworthy and approachable. We consider him a friend not just an agent. Graham is highly recommended by us. Kori S. & Garfield P.
Working with Graham has been a wonderful experience. Being a first time buyer, I was quite selective in choosing my home. However, Graham was very patient, supportive and understanding. Furthermore, I appreciate his high level of professionalism and integrity. Thanks Graham. We were pleased with the service and consideration that we received from Graham. He kept us informed of the status of our house and gave us as much notice as possible for viewings. We were able to sell in the timeline that we had hoped for. As this was our first experience selling a home, Graham made the whole process easier and enjoyable. Throughout our buying and selling experiences, Graham excercised patience and professionalism. He provided important and timely information that helped the decision-making process. I particularily appreciated his high standards of ethics and integrity. We wanted to say thank you for all your work on our house sale and purchase this fall. We were impressed by your dedication, and knowledge in helping us through the process. This was not the first house we have purchased nor the first time we have had a Realtor. It was the first time we felt having a Realtor made all the difference. We felt that you gave us time to review the house we wanted to purchase and you helped us to make the final decision and work through the negotiating process easily. When it was time to sell our home you gave us great advice and assistance to make our sale stress free in a changing market. We could not believe how easy you made the whole process. This was a big decision to move our family and we are thrilled not only with our new home but with how much time and effort you put in to making sure our house deals went smoothly. We appreciate your help and your support. We hope to send you many more clients. You are a credit to your profession. Take care and thank you for everything. We have had the opportunity to work with Graham on several occasions, always embarking on the biggest decisions in our lives. His dedication and determination to assist us was truly outstanding. Whether it is buying our first home, selling that home and then trying to buy again, he has always managed to take the stress and worry out of the equation. Often these days it is rare to have such remarkable service and commitment. Graham has always exceeded our expectations. In working with Graham he always managed to make it feel more like a partnership, trying to get the best results for us. Unfortunately, Graham has found us our perfect home and we will likely not have the opportunity to work with him for many, many years. We are truly grateful and extremely thankful for all of his efforts. Bobbi H. & John S.
Having already delt with Graham, if we were to enter the real estate market again Graham would be our man. Graham is professional, pressure free and listens to your wants and needs. When it comes to buying a house, trusting that you are receiving the right advice is paramount. Graham's insight and suggestions made our buying and selling experience a dream come true. Thanks Graham! I found Graham to be very professional and very patient . He explained the process of listing my house and what to expect showing my home. When the offer was made he made sure I understood it and very patiently explained my options for the counter offers. He wanted me to understand fully what my choices were.He made it all much less stressful than it might have been. I can't thank him enough for doing his job so well. Graham made our buying & selling experience smooth & easy. He always explained everything & made sure that we understood each detail of the transaction. We will definitely do business with Graham in the future. Our experience of Graham helping us find our first home was so much fun. Graham listened to our comments and concerns and found us a perfect house on the second day of viewings! He made our job easy by really getting to know us without it feeling like he was invading our lives. He was honest with us and so excited to get us our home which in turn made us really excited. We have been in our house for 2 years now and loving our property, it really is the perfect place for us to have a family. We will definitely be giving Graham a call when we decide to move but we love our house so much it won't be soon! Graham was great to work with when we decided to buy a home. We communicated exactly what we were looking for and he provided the best listing, with as many amenities we were seeking, within our price range. We especially like the fact that he didn't try to sell us on any given home but rather let us evaluate the home ourselves... He did provide additional information on each home, which was very helpful when it came down to the final evaluation.